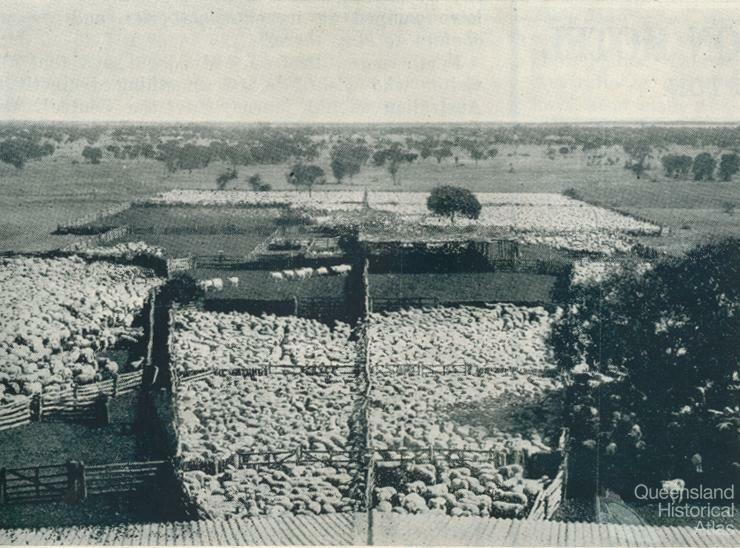 The station homestead was an important landscape feature that assisted the establishment and survival of the Queensland pastoral industry and the community of people associated with the industry. As the physical buildings are abandoned, deteriorate and are demolished over time, the survival of the remaining homesteads is under threat. A ‘homestead’ is the main house or head station on a large landholding running livestock, together with its associated outbuildings. These homesteads with their cluster of buildings resembled small villages. 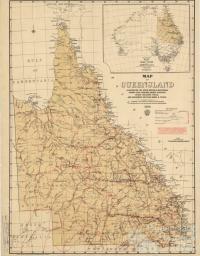 Queensland pastoral settlement was initiated by expansion from New South Wales to the Darling Downs and by 1844 there were 30 squatting stations. Some of these like Canning Downs and Coochin Coochin were painted by Sydney artist Conrad Martens in the late 1850s. Following separation from New South Wales in 1859, rapid expansion occurred west into the Maranoa and Warrego, then north into Mitchell and Burke districts. After retreat in the late 1860s, the pastoral frontier expanded in a second major wave until by the mid-1880s occupation of the land was nominally complete. Increased efficiency occurred in the 1870s with the widespread introduction of wire fencing. Early settlements were characterised by innovative construction techniques using available local materials and techniques learned elsewhere, such as R.G. Suter’s introduction of ‘outside studding’ in the 1860s. After a period of progress in the 1870s, the original stations of slab and stringybark and greenhide and more ephemeral materials disappeared. Ephemeral materials included brushwood, grass and reed thatch, crude stones in ant-bed matrix and upright saplings with mud infill. They were replaced by pit-sawn timber and more permanent construction. Despite the grand stone homesteads on the Downs, like Jimbour (1873), Talgai (1868) and Glengallan (1867-68), the majority were of local materials – timber slabs with bark or hardwood split shingles for roofing, then sawn and sometimes pre-cut timbers from mills like Pettigrews in Brisbane, or bricks from local clays or pise and mud brick. In south-west Queensland, with little suitable timber, pise building with thick rammed earth walls was preferred. 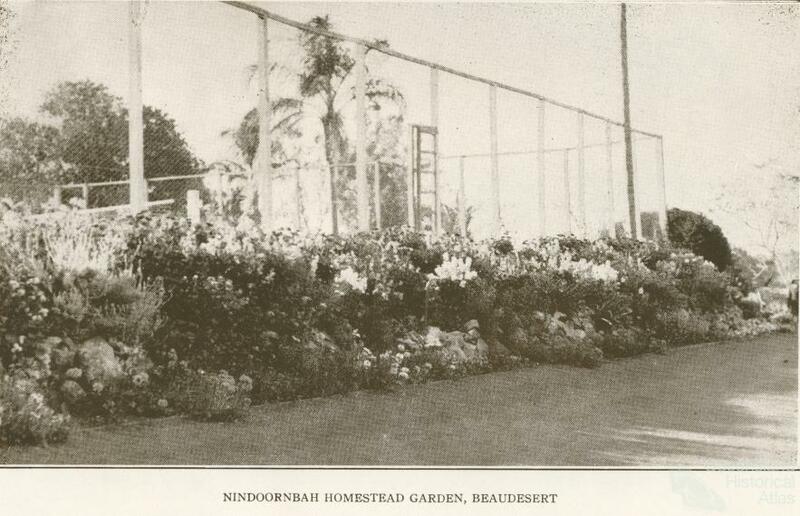 New stations built in the 1870s were characterised by two new features: stilts supporting the houses common in flood-prone valleys like the Burdekin, and the verandah, where one could escape the formality and oppressiveness of inner rooms – partitioned sections of the verandah for the ‘sleep-out’ became important features of most northern stations. The period 1884-1915 was one of mixed fortunes: resumption of stations for agricultural subdivision under the 1884 Land Act, sinking of artesian water bores following the 1884-86 drought, rabbit plagues in the late 1880s, severe economic Depression of the 1890s, tick fever and the great drought (1894-1902), and shearers’ strikes in 1891 and 1894. 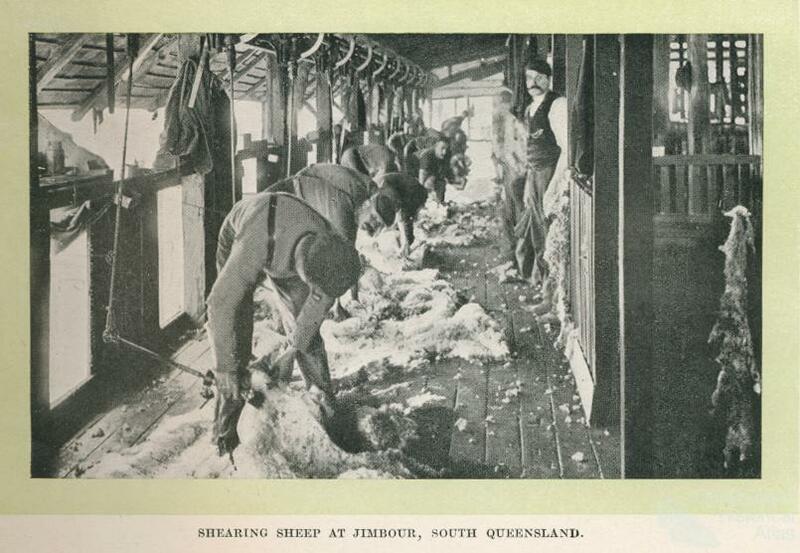 Sheep numbers rose to nearly 22 million in 1892 – with three stations - Wellshot, Bowen Downs and Milo shearing one million between them. 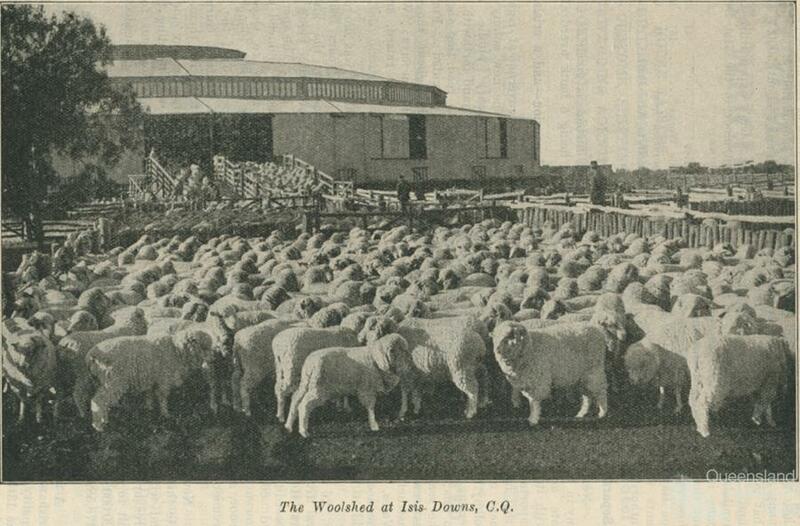 But in the 1900s sheep numbers stabilised at between 15 and 20 million and cattle rose to nearly four million. From 1903 the problems of lack of local timber were overcome by settlers purchasing prefabricated timber houses such as Campbell’s Redicut Homes which had catalogue names such as ‘The Longreach’, ‘The Hughenden’ and ‘The Mitchell’, all with wide verandahs and overhanging roofs and the latter two with detached servants’ quarters and kitchens. Pastoralism has left a physical heritage from the initial squatting period of the 1840s to the present day. 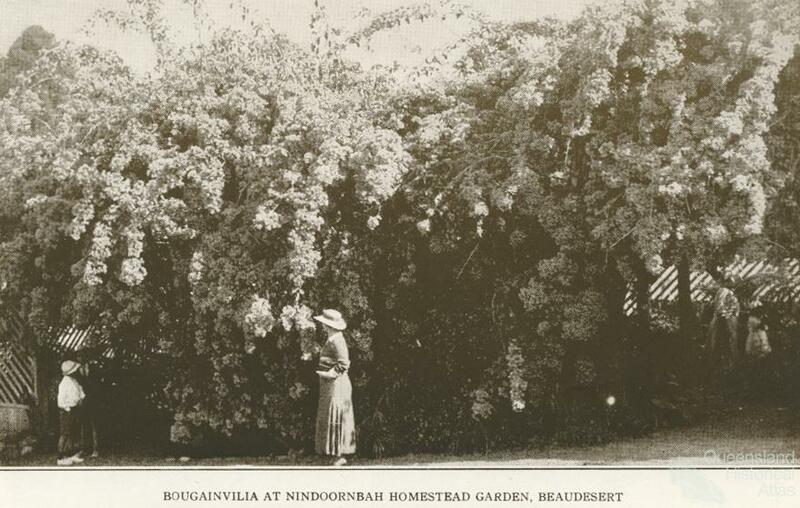 These homestead complexes are located across the State and vary from those now on the outskirts of expanding cites like Rockhampton, Toowoomba and the metropolitan sprawl of southeast Queensland to the remote (Thallon) and very remote (Birdsville). There are also many places with a richly layered history but the physical heritage values are no longer intact due to relocation, abandonment, fire, vandalism and ultimately decay. 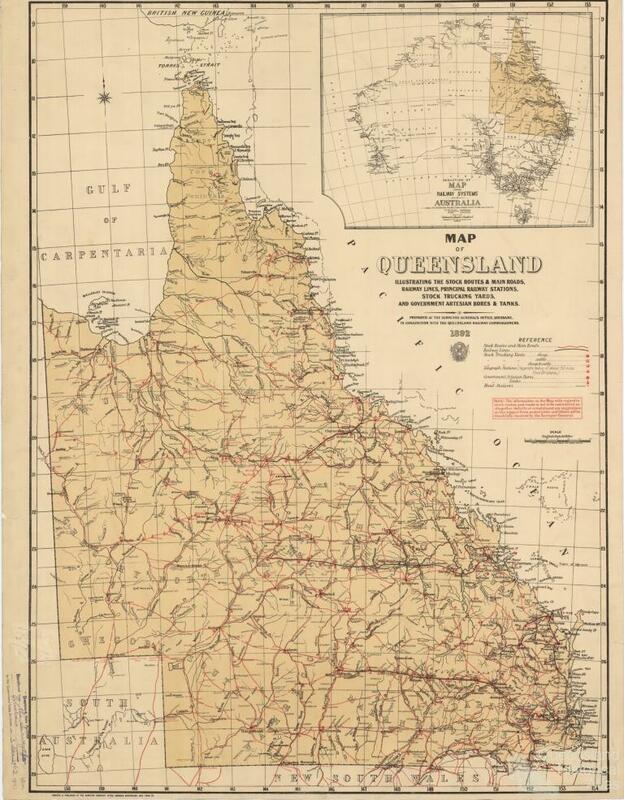 The number of colonial station homesteads listed on the Queensland Heritage Register by decade are 1840s (5), 1850s (1), 1860s (9), 1870s (8), 1880s (5) and 1890s (1). The history of each individual station is part of the regional environmental history of occupation, land clearing, transformation, utilisation of local resources and response to changing seasons, droughts and floods. Colonial buildings include Cressbrook, Tarong, Gracemere, Nindooinbah, Burrandowan, Eidsvold, Booubyjan, Kilcoy, Canning Downs, Mount Abundance. Few survive after World War I when lightweight prefabrication and materials had an impact on rural homestead maintenance and new designs. Interestingly, the tradition of slab building continued because of the shortage of manpower and materials during World War I as illustrated by the sawn timber slab construction of The Glebe homestead near Taroom in the Dawson River district from 1915 using timber available on site. The earliest survivors have been adequately documented but not the representative or biggest at different periods. This is illustrated by Oakwood on the Nive River, east of Augathella which had the largest blade shearing woolshed still complete in 1990 with huge wicker baskets for wool pieces but allowed since then to fall down in sections; or Isis Downs, which had the biggest and first woolshed in Queensland with electric shearing stands, and whose stone and rammed earth jackeroos’ quarters were bulldozed some years ago as staff numbers fell from the peak of 40 homestead-based staff in the late 1960s. Abandoned homesteads from the 1880s still remain, such as Eulolo on the Gilliat River with its separate cookhouse and many outbuildings or Nelia Ponds on the Flinders River – both main homestead buildings prefabricated and carted there by bullock drays. Rockvale has buildings from every period, while some components like wool bins were moved to different properties as occurred with those from Peak Downs in the 1860s going to Cubaroo and remaining in use until 2001. The associated stock routes between stations contain in situ heritage such as cast iron stock route signs, yards, bores, mills and tanks, which all require heritage protection. Patterns largely remained until the mid 1960s when social and economic changes caused a slow but obvious drift away from the bush and a new pastoral framework formed with larger scale corporate ownership, less labour and increased mechanical assistance. Granting equal pay to Aboriginal stock workers in 1966 hastened the end of the old pastoral system using intensive labour on stations. Massive changes have occurred since and a twenty-first century homestead usually accommodates only one family, often of the manager rather than the corporate owners, with contract staff from regional towns coming for seasonal tasks.